You’re coming in early on this 12-part series about behaviors that can be warning signs of toxic leadership. In each post, we will review one of the most common career-stalling roadblocks. We encourage you to consider which one(s) might be a blind spot for you. After all, over 90% of all professionals encounters some variation of these roadblocks at some point in their career.If this red flag -- The Dinosaur who's resistant to change at work -- doesn’t fit you, consider sharing this information with someone else who seems to have this blind spot. At least offer them the Career Roadblocks Quiz so they can discover it on their own! But don’t stop there. Take responsibility for your own blind spot(s) and focus on your own development. There is no one who has mastered all the skills needed to lead effectively. No one. It’s a continual and never-ending process, and the most effective leaders demonstrate self-awareness and openness to changing themselves. Take a look at the other posts in this series to make sure you’re not exhibiting any of these toxic leadership tendencies. 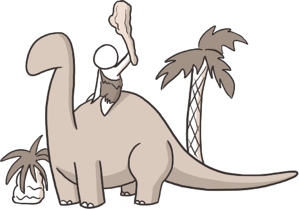 Warning Signs of Toxic Leadership: Are You The Dinosaur? Resistance to change in the workplace in a time of constant and rapid innovations can make you look out of touch. Clinging to the past can work against you, even if what used to work still works! If you’re not keeping up with technology, trends and tools, it may seem like you’re living in the past. Has difficulty adapting to change and may even be change resistant. Struggles in situations that are ambiguous or those that require a high degree of flexibility. Thinks narrowly and does not value innovation, experimentation and risk-taking. Does not readily seek diverse opinions and does not easily understand others’ perspectives. Likes things the way they are and makes little effort to learn, grow or develop. Others act in haste and may not recognize the value of the current systems/practices. An extra measure of caution is needed to avoid making costly mistakes. Tradition, values or culture need to be respected or preserved. You’ve had time to master a skill or thoroughly assess a situation before plowing ahead. Sustained focus has been necessary to perform at high levels. Maybe this persona isn’t who you really are. It’s not who you intend to be. It feels unfair to be labeled this way. Nonetheless, if people see you as The Dinosaur, something caused them to see you this way. For them, this is real. What Can I Do if I Might Be The Dinosaur? 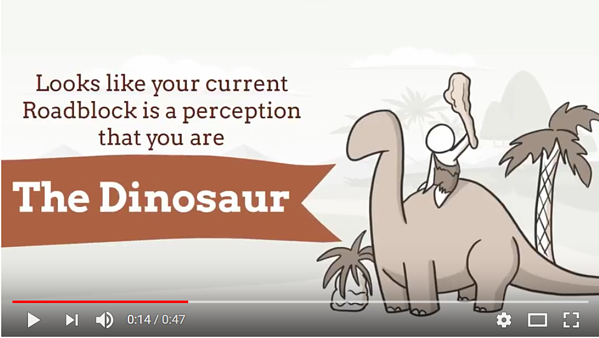 If you are, indeed, The Dinosaur, here are some immediate actions you can take to change others’ perceptions and exhibit these behaviors less frequently. Challenge change privately in order to understand so you can publicly support the change. Deliberately seek input from those who see things differently. Look for valuable nuggets. Stretch yourself to learn new skills and expand your horizons. Model self-development to others. Get outside your comfort zone. Try new ways of doing your work. Remain open to new ideas. If you’re wondering whether or not it’s worth it to make these changes, you should know that there is an impact to being perceived as The Dinosaur. There’s an impact on people you work with. 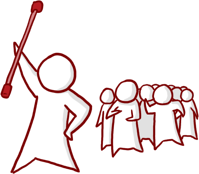 Resistance to change in organizations starts at the top and trickles down. The biggest risk you take when you allow Dinosaur behaviors to go unchecked is that people may see you as unwilling and unable to grow. As the organization or team grows and tackles new challenges, you may be left behind. Looking too narrowly at a situation may cause you to be thought of as someone who is not visionary or can’t see the big picture. This limits their ability to see you as a leader. When you express skepticism about change or appear to be clinging to the past, others assume you don’t have the capacity to grow. If you don’t stretch to try new things, you may find yourself and your role becoming diminished or obsolete. You also run the risk of causing others to feel devalued. When they bring new ideas, your reflexive response to preserve the status quo may create the perception that you do not want others input. Only sameness. How Can I Learn More About This Career Roadblock (and Others, Too)? The Dinosaur (watch the video above for more!) is one of 12 behavior sets that can become career roadblocks. When others are observing the issues with someone who is stuck and has these blind spots, they frequently use terms to describe these roadblocks (e.g. “control freak” or “dinosaur”).